The world has seen many intriguing manufacturing technologies so far, but 3D printing has really caught everyone’s attention over the past few years. Not only does it have the potential to create something through an entirely unique process, but it also has the capability to render some production lines useless. If consumers are able to 3D print their favorite everyday consumer goods using a 3D printer at home, the manufacturing industries will face a serious drawback. On a different note, 3D printing has opened up new opportunities for production, factory maintenance, and R&D, since acquiring spares for a machine has never been easier. 3D printing is a technology with a mixed impression, but most people are noticing that the pros will outweigh the cons. Research and development departments require prototypes, often times, a lot of them. In a typical setup, prototypes are handcrafted or made from molds, which takes up a lot of the designer’s precious time. 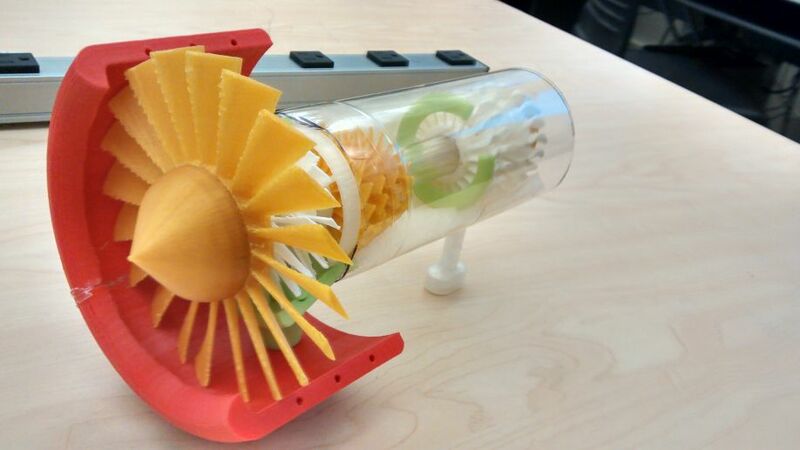 Using 3D printed prototypes, designers are able to save both time and money. Prodrive is a company that manufactures equipment and technologies related to motorsports, and they have incorporated using 3D printing for R&D for a long time now. Since 2009, Prodrive has been using 3D printing to create automobile models with Prodrive goodies installed providing the team with a better idea of the project in its entirety. It also gave the team a physical model to examine, not just a computer rendering. Many other companies have began seeing the potential of 3D printing models, even Aston Martin goes along the same path when it comes to an effective R&D strategy planning. Additive Manufacturing seems to be quite the buzzword in today's manufacturing industry. The usual manufacturing process is mostly a subtractive process, where the raw material gets wasted and reused over and over again. For example, in a car factory sheet metal is cut and shaped into specific body parts and leftover metal is later melted back down and formed into metal plates again before they can be reused for any further processes. On the other hand, 3D printing is a very precise manufacturing process. Whatever is designed is 3D-printed using the raw materials, no cutting down, no leftover material, no need to reprocess the materials. Therefore, it’s only an additive process and not subtractive. By being an additive process, 3D manufacturing reduces material waste, as well as processing time and required equipment. 3D printing undoubtedly impacts the material and production cost in a production environment. Depending on the purpose, the price of a 3D printer can be between $5,000 to $500,000 depending on the purpose and material requirements. However, in a massive manufacturing setup, the ROI would certainly make up for the cost. An industry that has migrated fully to 3D printing would hit the breakeven point significantly quicker than integrating other process technologies. Now that a lot of time is saved by precise prototyping using 3D printing, the companies may put more effort into getting things done the right way in lesser time. A lot of the ROI could potentially be saved so that companies might make some investment in sectors they don’t usually do. Such experiments with the finances are supposed to bring the company benefits, without conducting a full-fledged cost analysis on every end. Being able to easily and cheaply make prototypes allows companies to really get creative, and the budget is a little more lenient to allow for trial and error. Most of the countries in the world now have very bold and strict environmental laws for industry to protect the community around them, as well as nature in general. By using additive manufacturing strategy, 3D printing can actively contribute to lesser carbon emission. Many of the aerospace manufacturers now use 3D printing to produce modules that require precise cut and structural uniformity. By doing so, they reduce wasting raw material and eventually the CO2 emission to nature is reduced by a significant amount. Some 3D printers can actually use recycled wood, reducing the environmental effect of what little waste does occur. 3D printing’s future is bright nonetheless, but somewhat unpredictable at the same time. The market share is increasing and more production industries are acquiring 3D printing units. Subtractive manufacturing has been rendered less effective, but there are many industries that are reluctant to give up their old ways. 3D printing will most likely take over the R&D and maintenance sectors for production, but taking over the entire production facility will certainly take some time.